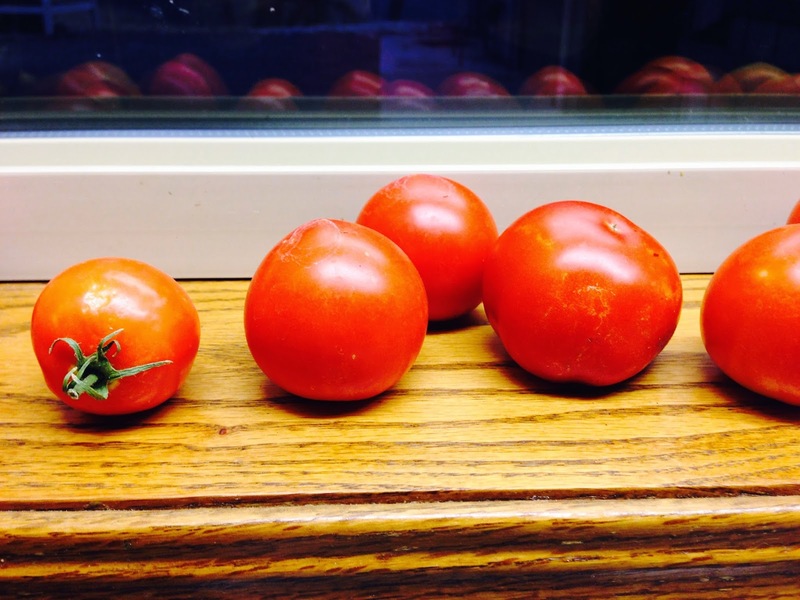 During the month of August 2014, Camas Prairie Food Bank served 546 people. We had 4 homeless households with a total of 8 people. Shelves are finally getting filled up at the Camas Prairie Food Bank - thanks to donations by all of you. We are luckier than most, as most of our North Central Idaho food banks in small communities have empty shelves. It's through combined efforts of our local awareness programs and the generosity of our community members that we're keeping our heads above water. Meanwhile, the team at Camas Prairie Food Bank continues to volunteer countless hours to serve those in need. 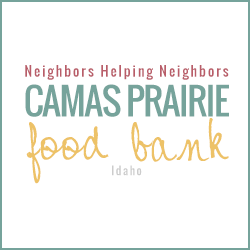 The Camas Prairie Food Bank is composed of a tremendously devoted team of volunteers who make it happen EVERY WEEK. Week after week, month after month, year after year. The reality is, ALL of our Idaho food banks are struggling to meet these community needs as food prices increase and inflation creeps higher. Camas Prairie Food Bank is working on ideas and programs to make sure we sustain our ability to offer food to those most in need. Are you interested in sitting on a committee to help brainstorm and be a part of grassroots efforts. OR, do you want to be less of an idea person and more of a get-her-done sort, feet on the ground worker bee? Either form of involvement is welcome and plays an important role. One program being collaborated is a community project that will take some time. We're envisioning it like the Ashland Project somewhat (http://ashlandfoodproject.com). We will need neighborhood volunteers that could spare maybe one day a month. If you haven't looked at the Ashland Food Project website, please take a moment to peek at the info. Anyone interested in helping with this project - let us know by October 1st. Send an email to stophunger@camasprairiefoodbank.org or call the food bank on Tuesday or Fridays. We need you. Neighbors donate a bag of food every two months. It's incredibly easy, because we supply the bag…and we pick up the food! This provides food pantries with a steady, year-round supply of food…and provides donors with the ongoing satisfaction of making a real difference. Whether you donate food, collect it, help make policy decisions, or help out in some other way, you are what makes can make this program work in the area of Camas Prairie communities. If you're interested in attending a preliminary planning meeting to launch this food project program, or would like to be on the community drive pickup committee, to collect bags of food around your neighborhood, please email us at stophunger@camasprairiefoodbank.org to be included on the list. Or call the food bank on Tuesdays or Fridays, 9-2pm and ask for Carlene. We've really raised awareness about extra garden produce and fruit tree harvests and its working. Neighbors have been dropping off extra veg and fruit from their gardens to share with the food bank. Believe me, it does not go to waste. There are always families who cannot afford a zucchini at $1.59 a pound, or squash, plums, apples, and any other produce where prices at the retail level were seeing, are reaching unattainable levels for many families. Think about next spring: growing an extra row of corn, tomatoes, sunflowers (the seeds have high nutritional value), squashes and onions, or any produce - to donate to the food bank. We could use more donations of used - working crockpots to help households that need them. It really helps especially when cooking beans, a cheap source of excellent nutrition, protein and carbohydrates. We hope you've enjoyed your summer and are refreshed by your activities and recreation for the fall and winter season ahead. Remember those who may not be as fortunate and need your spare canned goods or time to facilitate sustainable programs for our local community. Please know that your efforts to drop off a bag of groceries here and a bit of fresh produce there, really making a difference! We can improve on those trickles to create streams and rivers of flowing produce through programs that are not government funded but supported by the local community members. Many small doses of participation create a large movement of effort. Think about donating 1 hour of your time each month to one of our projects.